This inspired Stefan Wolpers to do a survey on the salaries that Scrum Masters can ask for world-wide. From this survey came the Age of Product Scrum Master Salary report of 2017. According to the Scrum.org and Scrum Alliance websites we have now more than 500 000 Certified Scrum Masters or Professional Scrum Masters. With these kinds of numbers, it is clear that there is a demand for our profession. So what does that mean? How is the breakdown between countries and women vs men employed in this profession? A more equal opportunity profession? According to the report that Stefan compiled, there’s no significant difference between women and men when it comes to salary level. However, even if the profession has more women than the overall programming/technical professions, it is still a male-dominated profession (30% of people that replied to the survey are women). When it comes to education, having a bachelor or similar degree plus hands-on experience seems to be the right level of qualification for aspiring Scrum Masters. Having one certification makes sense, but according to the survey there’s no significant effect of having more than one certification. Finally, the organizations that hire Scrum Masters seem to be firmly rooted in the Product Development industry. Which begs the question: when will Scrum break-out of IT and product development? What is your view? Agile PMO? Or waterfall with a bit of Scrum splashed on it? An interesting aspect of the survey is that it reveals that many Scrum Masters are under the PMO (Project Management Office) umbrella in most organizations. We discuss why this is and what this might mean in terms of the Agile adoption process in certain organizations. There are currently many different options as to how to govern software development in product organizations. We have SAFe, LeSS and other scaled framework and Oikosofy’s own Agile Portfolio Management governance framework. The Project Management paradigm is however, still the dominating paradigm, and we discuss what that might mean. If you are interested in more details, and all the data from the Salary Report, you can download it in the Age of Product website. What did you think of the results? Are they coherent with your experience? Stefan has been working as agile coach and product owner for fast growing, mainly Berlin-based startups for about 10 years. 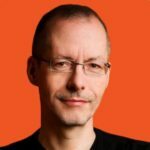 He is writing on hiring agile practitioners, Why agile fails?, and curates Age of Product’s “Food for Agile Thought” newsletter. You can link with Stefan Wolpers on LinkedIn and connect with Stefan Wolpers on Twitter.